With over 20 years experience working for some of the world’s biggest names including Lion Nathan, Coca-Cola, and Schweppes, Damien has developed a wealth of experience in beverage marketing across the APAC. His insights have helped beverage companies like Lion Nathan, Coca-Cola and Schweppes grow market share through targeted strategic branding, all the while growing the revenue of his businesses. With a strong background in sales and marketing, he has consulted a number of companies on how to grow strategic revenue. He has owned and exited a number of startups in the marketing and technology space, including Brand88, Dream I.T., Southstone Facilitation LTD and consulted to much more. Damien is currently a Director of Vending Machines International PTE LTD (Singapore) and Director of water3 PTY LTD (Australia). Damien’s formidable skills in sales, marketing, strategy development, management, and passion for the environment make him a strong leader for the water3 team in the USA. While travelling through Vietnam, I was stunned at the immense amount of waste created by single-use plastic water bottles. Upon arriving back home, I realised the issue of plastic pollution was not only affecting countries overseas but rather that plastic was becoming a global epidemic. At the time there was little being done in the way of education, or even awareness about plastic pollution in Australia, so I decided to launch water3 in my very own backyard. As Australians, many of us enjoy an active, outdoors lifestyle, so I think that it is important that we act as guardians of our environment to eradicate plastic, and preserve our way of life. Integrating eco products like water3 into the social conscience of our communities is one of the first steps to creating positive change, and reducing environmental impact. We charge a small amount (from $1) for a refill of water, $10 for a stainless steel reusable bottle, and we have a pretty special piece of advertising technology we will reveal in time. At the moment we are working on our late Sept launch across South East Queensland, which is really exciting because we are introducing a world first technology to consumers. We are also about to begin capital raising in the US, and are in talks to extend the branches of our business to Singapore, Switzerland and Dubai. It’s a very new and exciting time for us, and I couldn’t be prouder of how far we have come. I think making ideas happen all comes down to just doing it. Of course, it is essential to have a qualified, passionate team to help you execute them but you really have to commit to your ideas and stand by them during the whole process. It’s a long road, but as you can see from what we are doing with water3 and the difference we are making to our environment – it’s all worth it! My mentors have provided me with endless amounts of encouragement. Their stories of overcoming adversity and believing in their passions have inspired me. Wake up around 4-5 am. Check and reply to emails from USA and London, then head to F45 for a 6:30 am class. After that, I’m home for brekky, coffee and a shower, feed the dog and head to the office. Then its meetings, phone calls – usual stuff that comes with spinning many plates in a few different countries. Then home to walk the dog, have dinner, relax with a whisky, play some cards in bed usually about 8:30 pm! I think all entrepreneurs are challenged when trying to grow their business. In the process of developing water3, we have attracted our fair share of obstacles. People have doubted our ability to secure placements, our ability to change the behaviours of consumers, launching without proof of concept, and our machine design. Forming a solid investor base, developing the product, and surrounding myself with the right team has been instrumental for me in expanding the water3 brand and launching our product to the market, both here and internationally. The other issue is that while there are plenty of entry level facilities and grants available to startups, there is little on offer in regards to ongoing support for businesses so many fail ever to get off the ground. There is simply not enough capital in Australia to support startups in the long term. I’ve got a great idea for sustainable clothing – a really neat marketing exercise I think would work brilliantly. Who do you think is doing really cool stuff in your industry, in Australia at the moment? The Seabin Project, Bee One Third, Earth Bottles and Tim Silverwood from Take3forthesea, are all working to better the future of our world in innovative ways just like us. Due to their recent international expansion, I’d have to say The Seabin Project again, also The Ocean Cleanup – which is the brainchild of Boyan Slat – who was something like 15 years old when he came up with the idea. Businesses, especially social enterprises/startups like water3, are leaders when it comes to making a real and tangible difference to our society. The water3 brand, for example, is about changing people’s behaviours around disposable plastic (esp. plastic bottled water), and helping them develop the habit to reuse and consciously think about what they consume on a daily basis. Spur Projects – which support mental health for men, in particular trying to reduce the amount of male suicides going on every year. 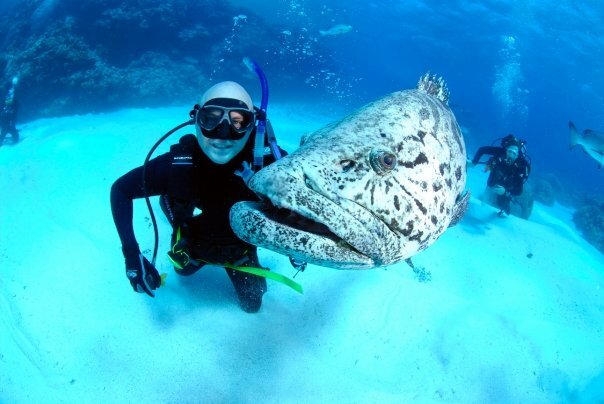 We also support various environmental organisations through our work at water3 such as the Eco Barge Clean Seas turtle rescue and the cleanup team at the Whitsundays. Name 2 websites you would recommend to our readers. Utrip is epic for visiting somewhere new. Smoke Grill BBQ – I like to smoke some crazy recipe for hours on the weekend. Bluntly, I don’t personally use Twitter. While we use it for water3 – it’s not something I’ve ever personally given much time too. I do however get a lot of info from LinkedIn. I hardly watch TV haha no time!! 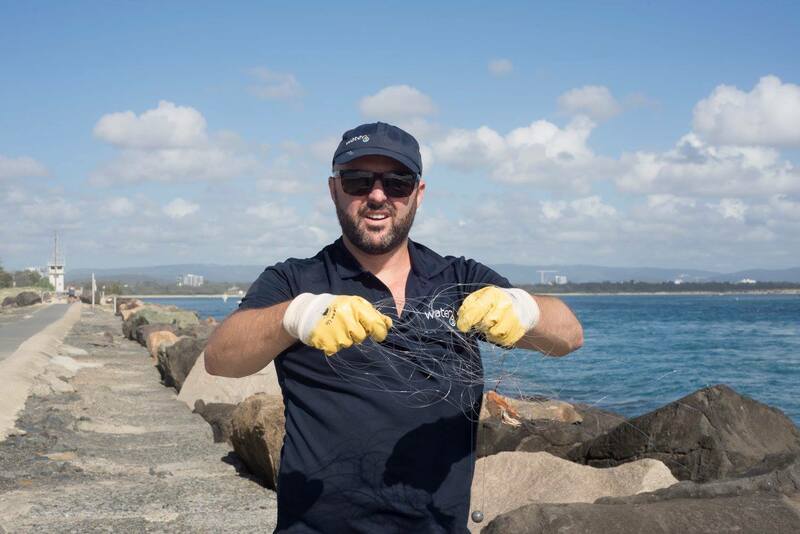 Some favourite accounts we do follow as an organisation are – Take3forthesea, Tangaroa Blue and Clean Up Australia. We are always looking for people who share our passion for the environment and social change. We’re aiming to build a community of Australian idea makers helping each other. If you could have one question answered about startups, marketing, social media, accounting, monetization, product development, etc. What would it be? How do we create a country to provides appropriate support to early stage startups? Lucky Duck Cafe in Highgate Hill in Brisbane. Bridges in Paradise Point on the Goldie – hands down best tapas. Check out our Youtube channel for an inside look into the world of water3.